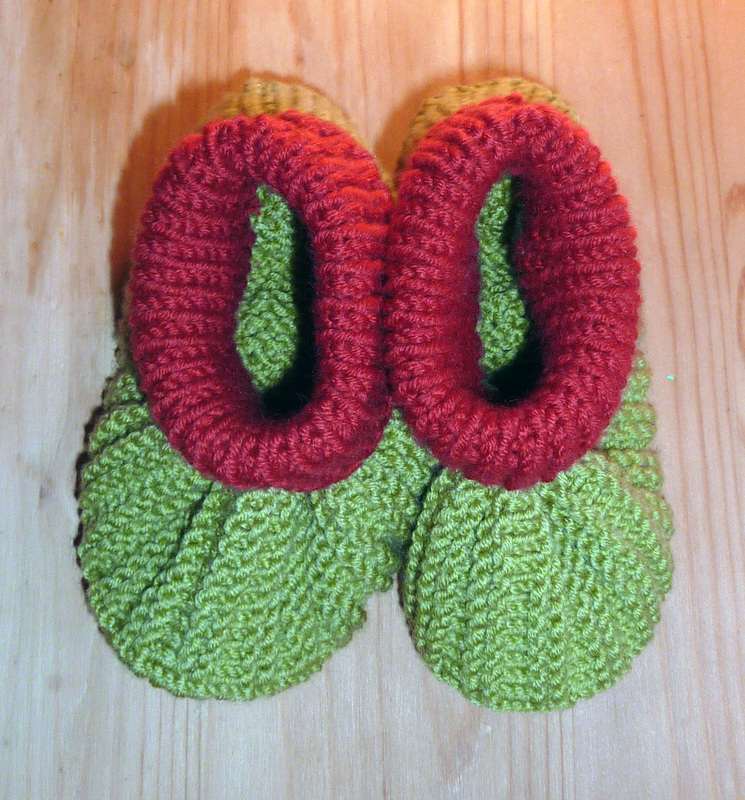 I knitted this little pair up in a bigger size, 6-12 months for my best friends little boy Tom. I was able to use some thicker yarn, which I had left over in my stash, and just added a couple of rows to make them longer. I don’t know exactly what yarn it was as it didn’t have a label anymore, but I think it might have been DROPS Merino. I love the colour combination and I’m sure they look adorable on Tom. I do hope they keep his little toes and feet warm! 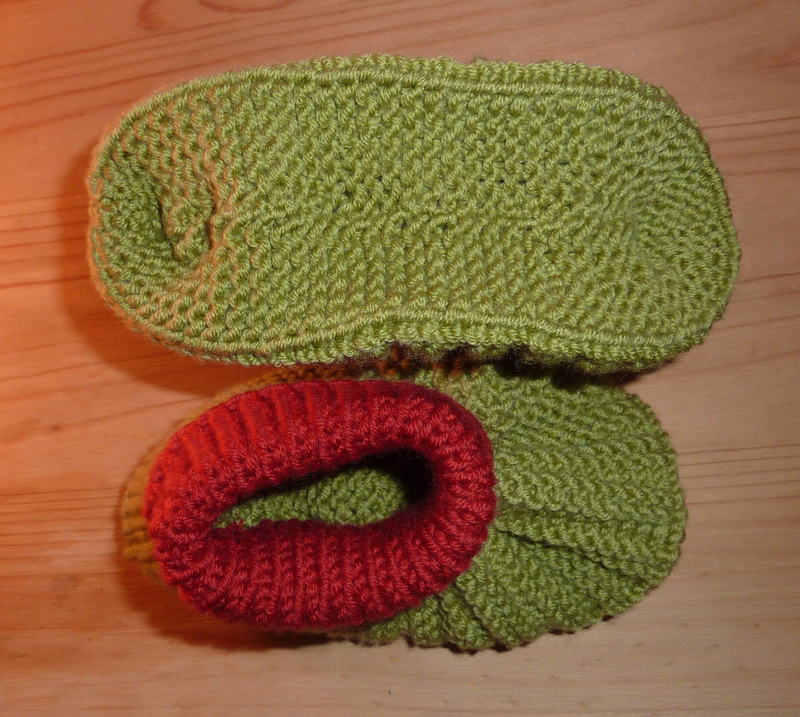 This entry was posted on February 16, 2012 at 9:51 pm and is filed under Baby, Knitting with tags baby, baby boy, baby girl, booties, socks, warm. You can follow any responses to this entry through the RSS 2.0 feed. You can leave a response, or trackback from your own site. 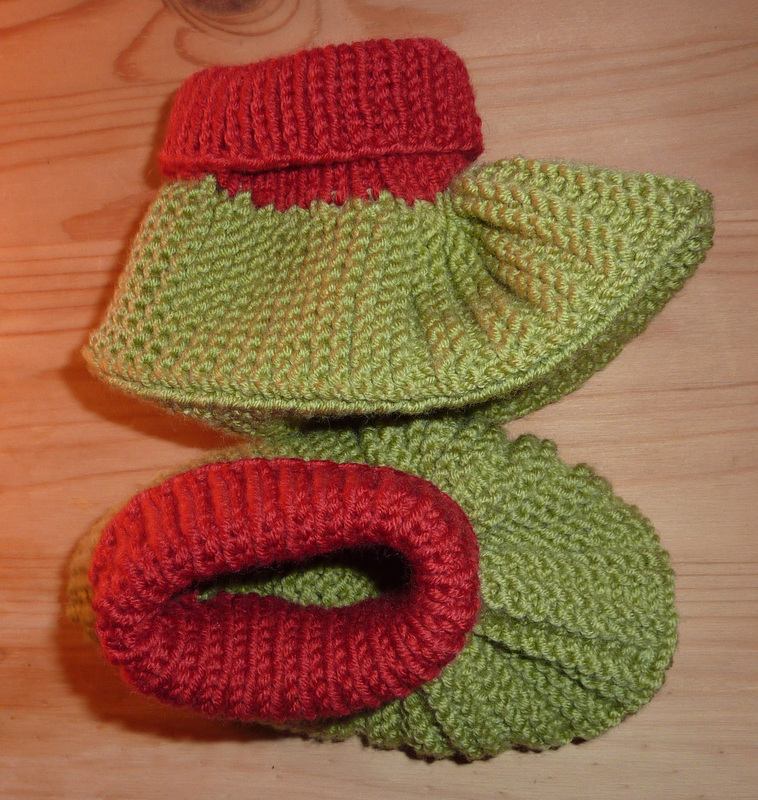 Love the colour … the pink/red and green looks great together. i’ll second the love of the color combo! !